To make matters even more confusing, there are over 100 varieties of certain types of grasses, and even more types of sod that are a mix between two or more grass species. So, we're here to clear up any confusion you may have and lead you down the right path in selecting the perfect sod for your Arizona lawn. In general, try to think of your sod varieties belonging to one of two groups; Warm Season Sod and Cool Season Sod. You'll want to choose your sod variety depending on the time of year that you want to install your lawn. An important element to keep in mind is that most warm-season grasses do not make seed. This means they must be established by either sodding, sprigging or plugging. Sod is certainly the least time-consuming of the options, as it provides an instant lawn with less maintenance needed than sprigging or plugging. 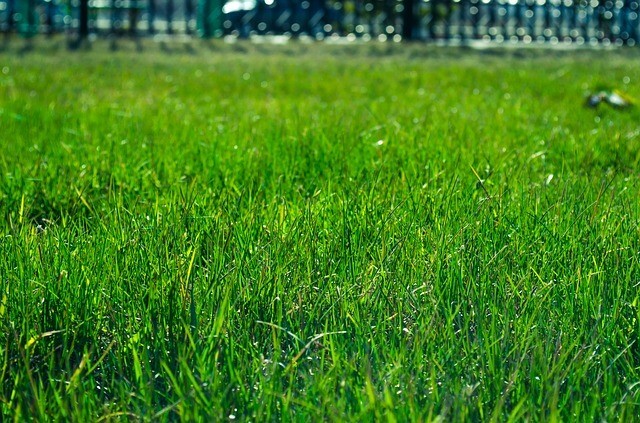 Based on our experience of installing thousands of home lawns across Phoenix and Tucson, we recommend these three types of sod as the best grass for Arizona lawns. This grass is the most widely used turfgrass in Arizona because it is an attractive, low maintenance turf. Midiron has medium coarse leaf texture with a blue-green color. Midiron transitions extremely well from winter over-seeding and recovers quickly from high traffic. Midiron can be mowed with a reel mower or a sharp rotary mower. Palmetto is a semi-dwarf St. Augustine grass and is our best performer in shady conditions. Palmetto also thrives in full sunlight and is the most heat-tolerant of all St. Augustine cultivars. Palmetto has a coarse texture with a soft leaf. Palmetto makes a stunning bright green turf. Palmetto should not be over-seeded in the winter. Palmetto should be mowed with a sharp rotary mower. Tifway is has extraordinary durability combined with a dark green, medium fine texture. Tifway 419 is a great choice for home lawns, sports fields, and golf fairways. Tifway can be mowed with a sharp rotary motor, or a reel mower can be used for a more manicured look. If you're STILL not sure which sod to choose, check out our Lawn Selector Tool or contact us today.